Rebranding can make or break a business and Pan Atlantic share their views on Uber’s rebrand, pinpointing some fundamental mistakes they believe could have a detrimental impact on their future success. The process of rebranding requires a clear strategy and complete audit of impressions from customers, potential customers and by others in the industry. After, the goals and main aims of the rebranding must be defined clearly. Pan Atlantic suggests that if rebranding is carried out without consideration of the above then efforts will be unfocused and unaligned. Indeed, if the rebranding process is not implemented thoroughly it could cause confusion among existing stakeholders, doing more harm than good. This is where Uber comes in. Uber is essentially an app which connects drivers with passengers directly, instead of through a centralised booking service or just hailing a car in the street. Uber detects your location and connects you with the nearest driver. The app texts you when the driver arrives and you can check the identity of the driver against who actually shows up. Uber also gives you a price estimate, and is cashless – you pay through the app. The Logo: Uber have replaced their highly recognisable black and white ‘U’ logo with 2 new logos symbolising ‘bits and atoms’ – one for riders, and the other for drivers. 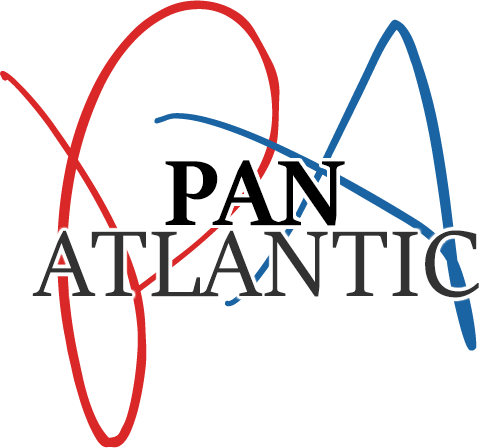 Pan Atlantic believes that the failure here is not only that they’ve replaced their iconic ‘U’, but also that the new logo does not in any way communicate more diversity of services, which was the company’s goal. Wrong Focus: Pan Atlantic believe that too much emphasis on a sizeable rebrand distracted Uber’s focus from the immediate and widely publicised concerns of their drivers, among other day to day activities and functionality problems of the service. The firm state that this is hugely significant because at the end of the day brands include everything from customer perception, experience to the tone look of branded messages. It’s all very well designing swanky new logos and promotional material, but if the actual services offered are not improved then the rebranding is superficial. Overly Rapid Growth: Uber operates in 400 cities in 65 countries displaying beyond rapid growth for such a young company, with many of its drivers having spent less than 1 year driving for Uber. Pan Atlantic argues that at this rate it is almost impossible for Uber to control their brand culture whilst dealing with various teething problems and driver issues caused by widespread expansion and a lack of focus. Unfortunately, Uber’s CEO Travis Kalanick has been labelled by the media as arrogant, belligerent, and looking to fight regulators within the taxi industry (INC, 2015). He constantly dismisses criticisms of Uber without addressing underlying issues, and Pan Atlantic believe this can worsen or exasperate concerns surrounding the company. As a consequence, Pan Atlantic believes that Uber suffers from a paradoxical challenge – its leadership is clearly smart and have become pioneers of the taxi industry, yet at the same time the company’s culture is tarnished with immaturity and ethics violations. Pan Atlantic are specialists in offering innovative direct marketing solutions to businesses across the United States. The firm strongly believes that outsourcing remains one of the most cost-effective alternatives for businesses that are looking to make the most of their time and focus on business growth. The firm thought extremely carefully about their branding, focusing on how they wanted to be represented, what messages and ideas would be conveyed through the colours they chose to ensure the spirit of their brand shined through – something they and others believe Uber has failed at! Pan Atlantic ensure effective communication with their clients and their customers at all times as, through their face-to-face marketing interactions, the firm are able to build lasting connections with consumers on behalf of their clients. In turn, these relationships help their clients to boost sales and expand into new markets and demographics.